SHARE FOR SMILES e.V. 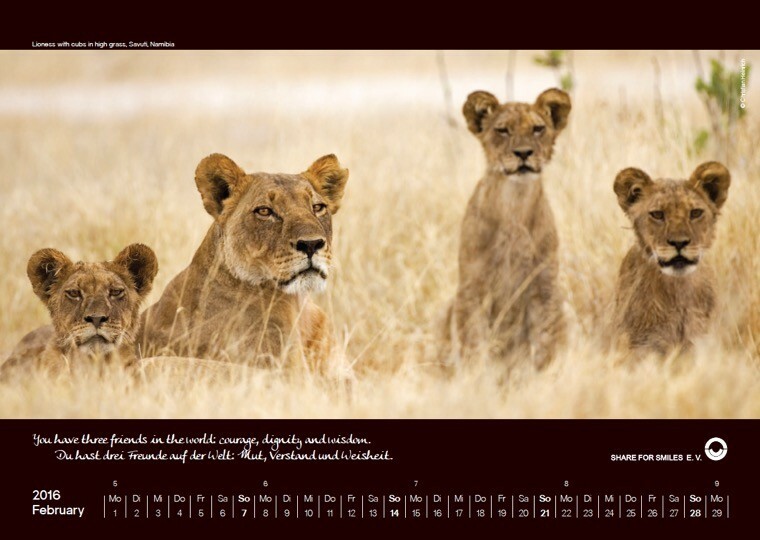 supports educational projects in Africa and puts great emphasis on the value of sustainable perspectives. 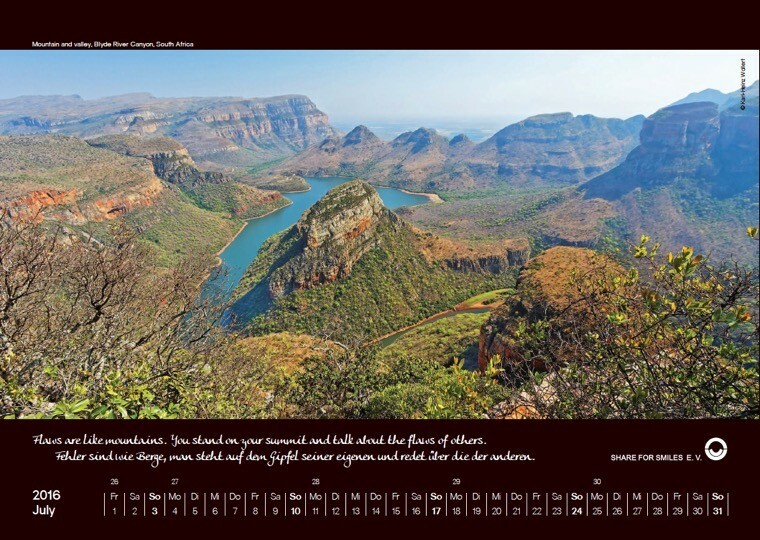 The core of our activity focusses on raising funds though the sale of gifts with a special social significance, such as the SHARE FOR SMILES Africa Calendar. 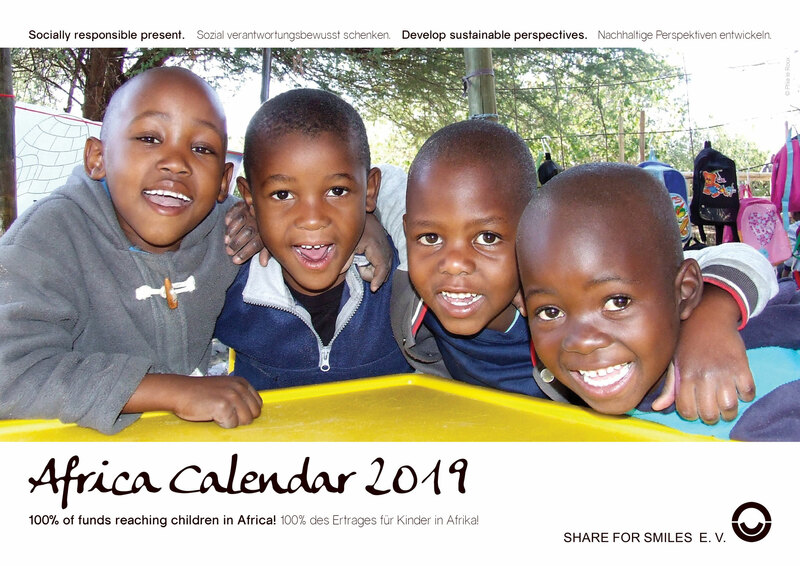 Funds raised help to support our projects, involving schools and orphanages, through measures that are sustainable from both a socio-economic and an ecological perspective. 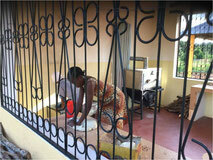 As a result, the vision for our sustainable action is the long-term financial independence of our projects. 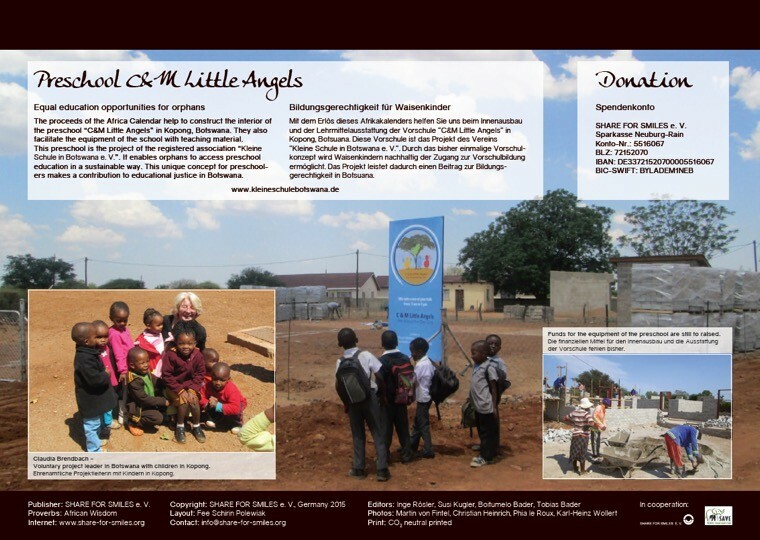 In 2010, we sponsored the orphan Percy Madikwe, the founder of the Guardian Angels Orphan Society, to help build a Better Children and Adolescent Organization in the Bontleng slum in Gaborone. 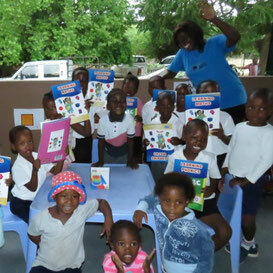 With the donated laptop Percy has written and published various textbooks for preschool children in Botswana. 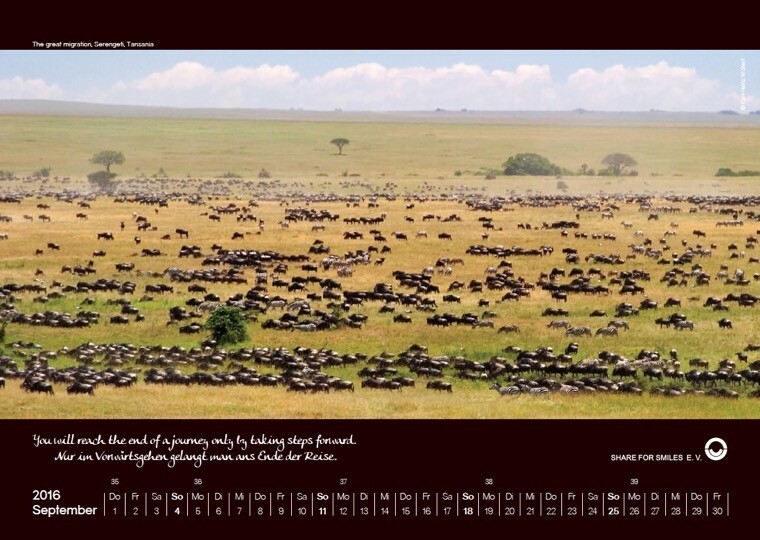 The proceeds from the book sales benefit his organization. 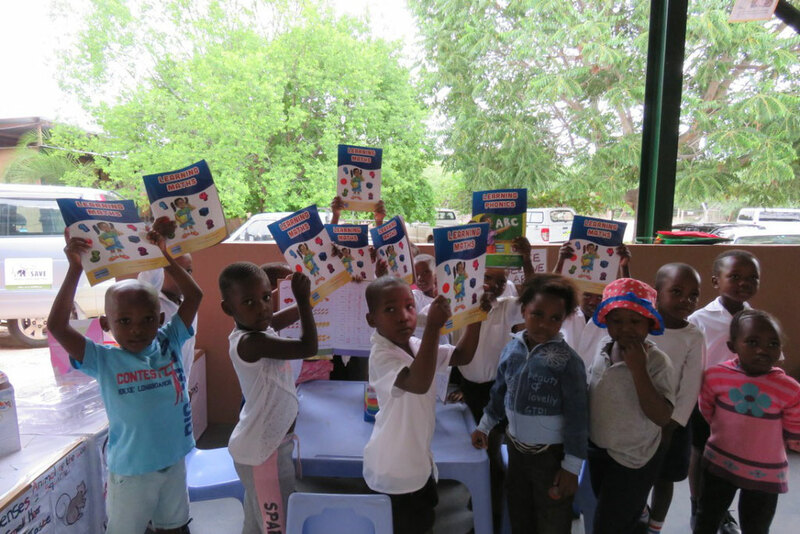 Of course, SHARE FOR SMILES has purchased these preschool textbooks at the SHARE FOR SMILES Learning Center in Shakawe, which opened in July 2018. So our donation helps twice. Teacher Mma Kadimba's quote "We are happy about the donation, the children are happy and excited, and if they see something new, they are thrilled!" 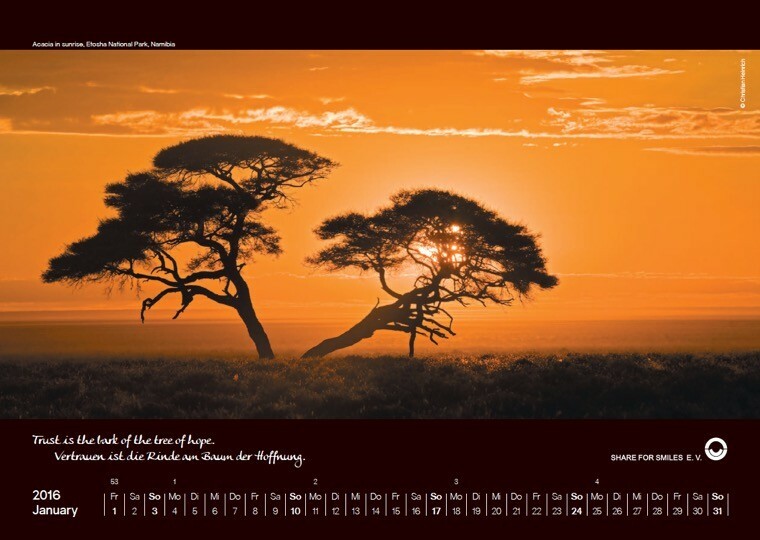 Rupert Klein and dr. Christian Hien supports SHARE FOR SMILES with a total of 1,250 euros. 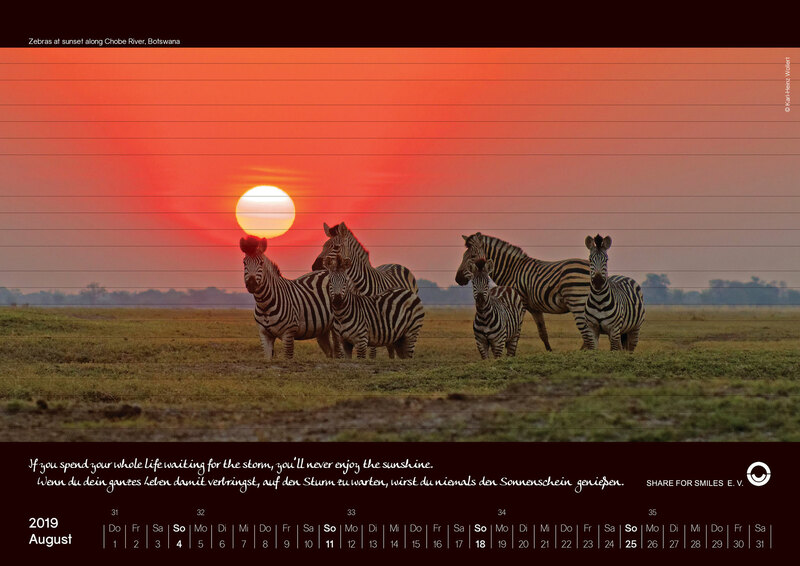 Inspired by the SHARE FOR SMILES calendar project, each year Rupert Klein from Regensburg designs a beautiful Regensburg calendar with self-photographed pictures and donates the proceeds to SHARE FOR SMILES. He could see the interest of his dentist. Hien to awaken our association and convince him of our vision. 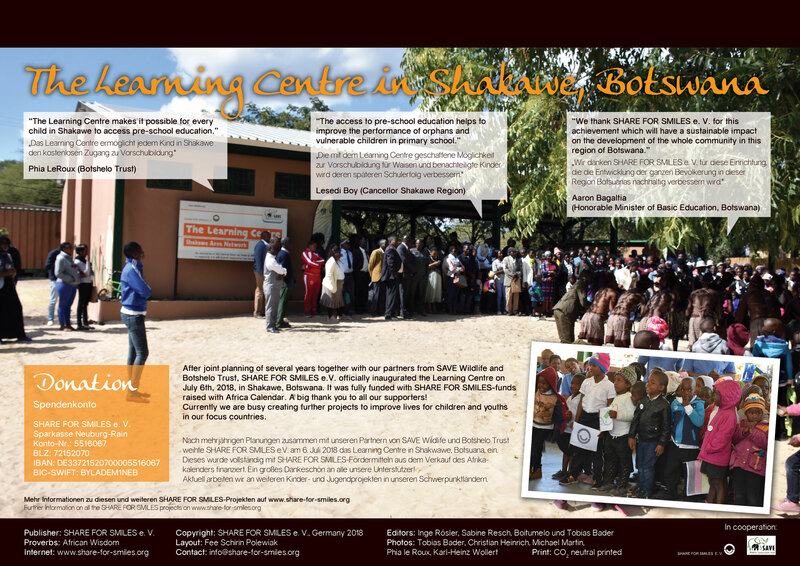 The donation will benefit our children and youth project in Shakawe, Botswana. 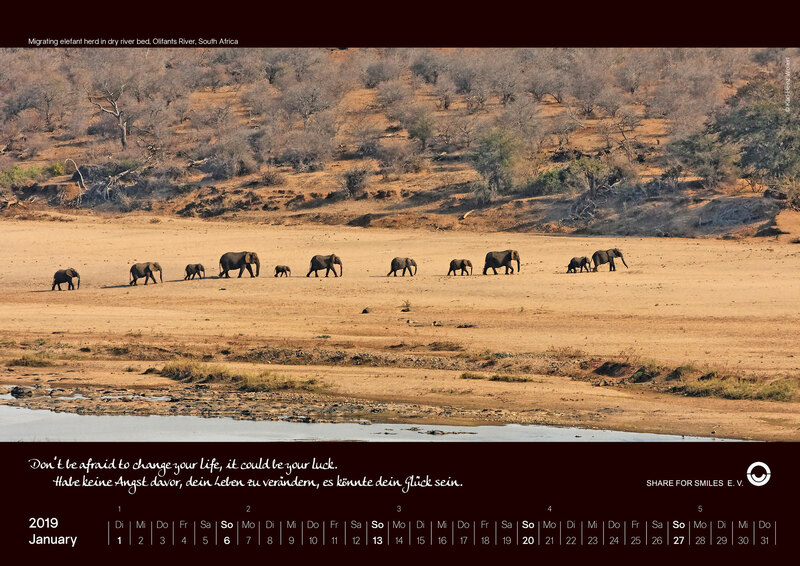 Under following Link you can order the Calender. Safe to school through SHARE FOR SMILES! 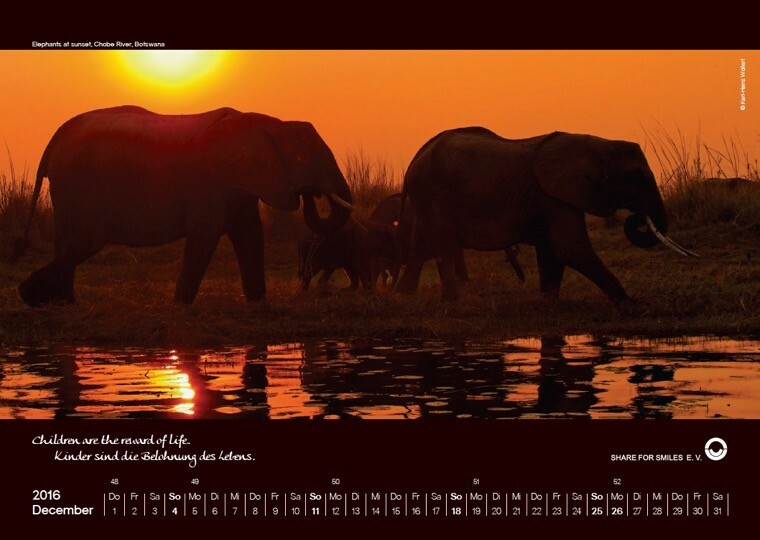 Together with your help, we supported the association Kleine Schule Botswana e.V. in setting up the pre-school C & M Little Angels in Kopong. 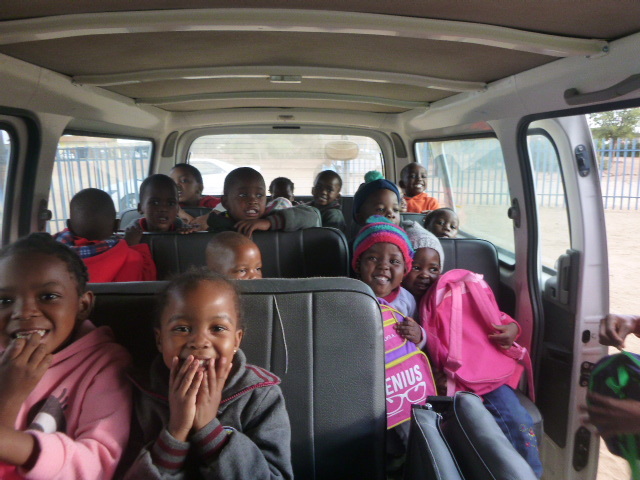 Our fundraising for the purchase of a school bus was very successful. So we could buy a bus, which now brings the children safely to school. SHARE FOR SMILES was on Saturday the 16th and Sunday the 17th of September 2017 with a stand on the Neuburger pottery market. 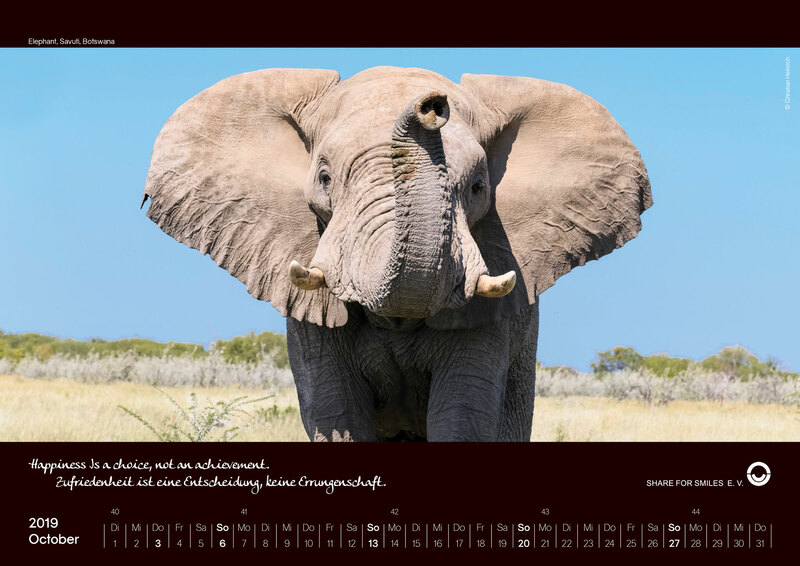 Those who were interested could get information about our association, our projects and our work and buy the 10th anniversary edition of our beautiful Africa calendar 2018. 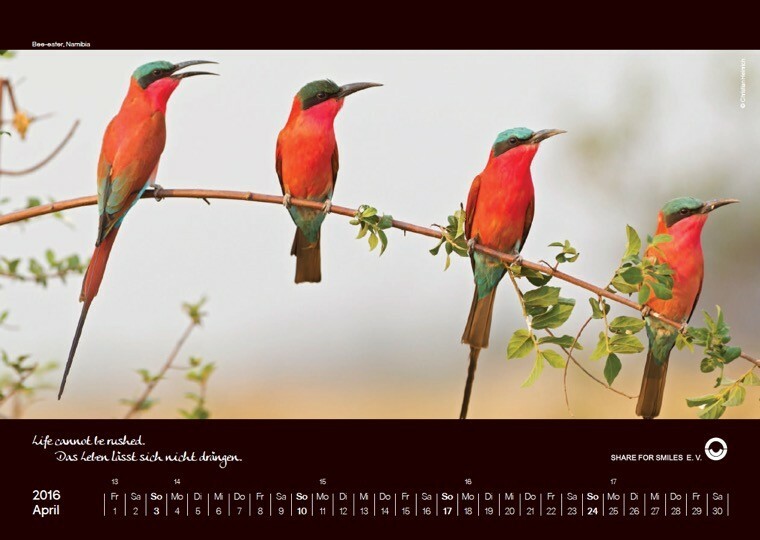 Karl-Heinz Wollert, a great photographer from South Africa, provides wonderful pictures for our Africa calendar every year. During his visit on 23 August 2017, we met him personally for the first time. We can also look forward to his support in the future. On Wednesday, July 26, 2017, the summer party of our Pindl school took place in Regensburg. 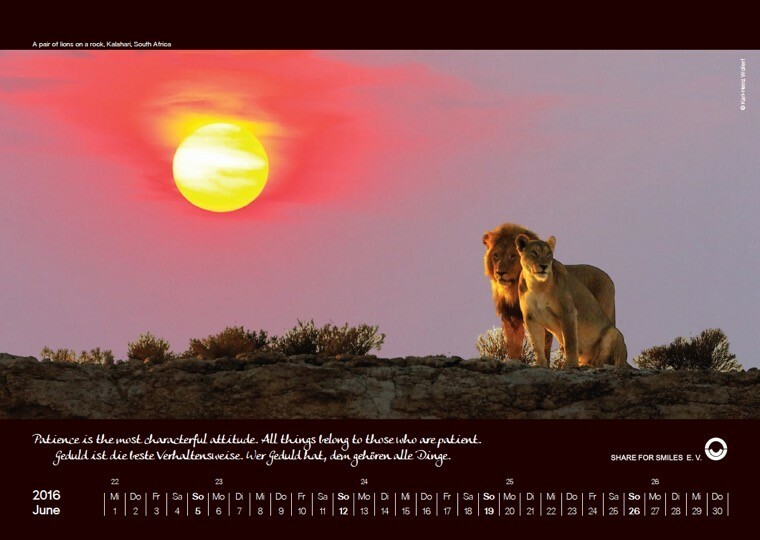 At the same time, the pictures of our previous African calendars, which were reproduced in the art lessons of pupils, were sold. SHARE FOR SMILES was supported with their proceeds and further donations at this event. 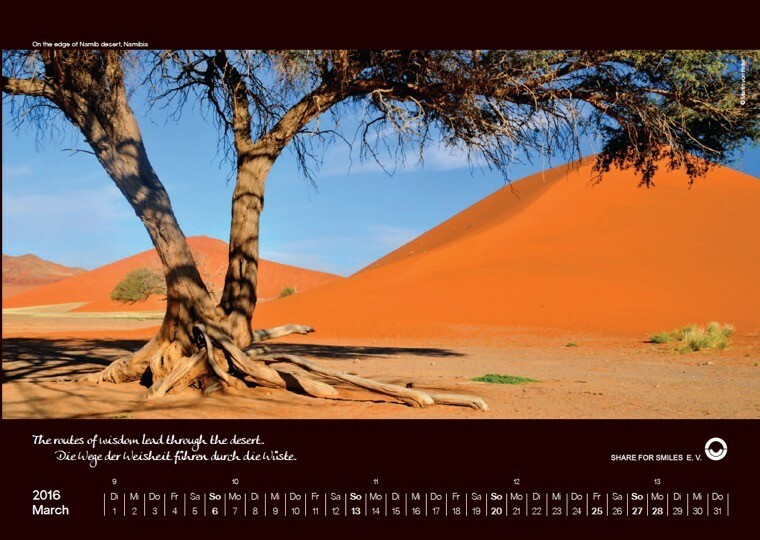 The money will benefit our aid project in Shakawe (Botswana), which promotes an education and youth center. 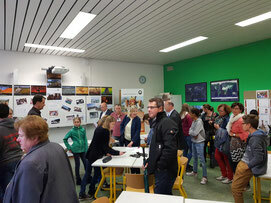 We would like to thank all the pupils and all other helpers who have actively participated in the campaign. A special thank you goes to the director of the school Mrs. Andrea Klein and the responsible art teacher. Without them, this great support never came about. 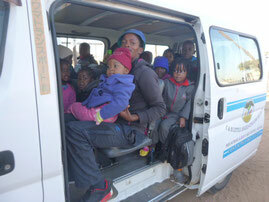 Continental Temic, employer of some Share for Smiles members, supports our bus project in Kopong / Botswana. 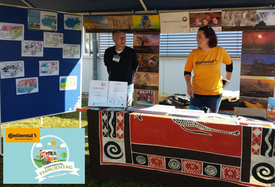 In this context, we were able to present the project and collect donations at the Continental Family Day on 25 September 2016 in Ingolstadt. The interest of Continental employees was very high. Each entry tape earned € 1. 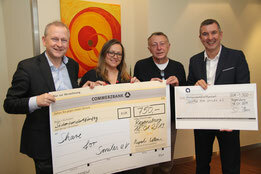 Continental donates the entire sum to Share for Smiles for the bus project in Kopong. We would like to thank the Continental Temic again for the great support. 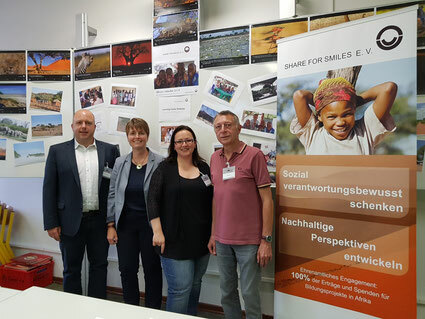 Share for Smiles was represented on Saturday, June 11, 2016, with a stand at the Africa Festival in Ingolstadt. 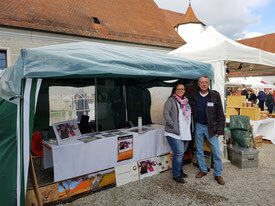 Interested people were able to get more information about us and our work in southern Africa. This year, the focus was on the preschool project in Kopong / Botswana. Share for Smiles and preschool children in Kopong thank you for your support. Ceremonial dedication of the Share for Smiles aided pre-school in Kopong took place on 28th January 2016. The pre-school, which is founded on the special sustainable school concept, offers orphans in Kopong equal access to education. Our members Tobias and Boitumelo Bader, who were visiting Botswana in January, took part in the event alongside Dr Unity Dow, Secretary of Education and the German ambassador. Their speech gave special thanks to Mrs Claudia Brendebach, the project leader and main promotor for Share for Smiles e.V. For more information about the project and additional pictures of the pre-school and the opening event click here. 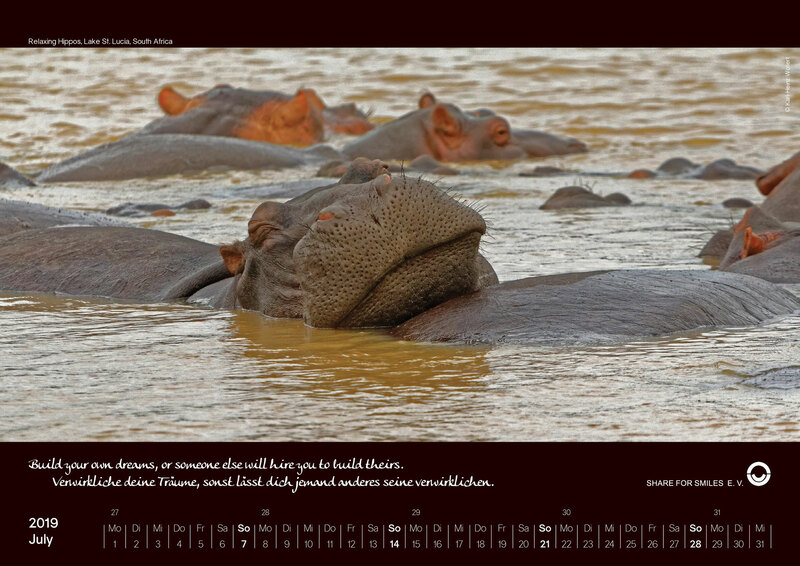 The Botswanan community in Germany invited Share for Smiles e.V. 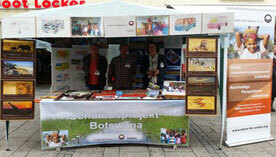 to take part in an event in Witten in connection with Botswana Day. 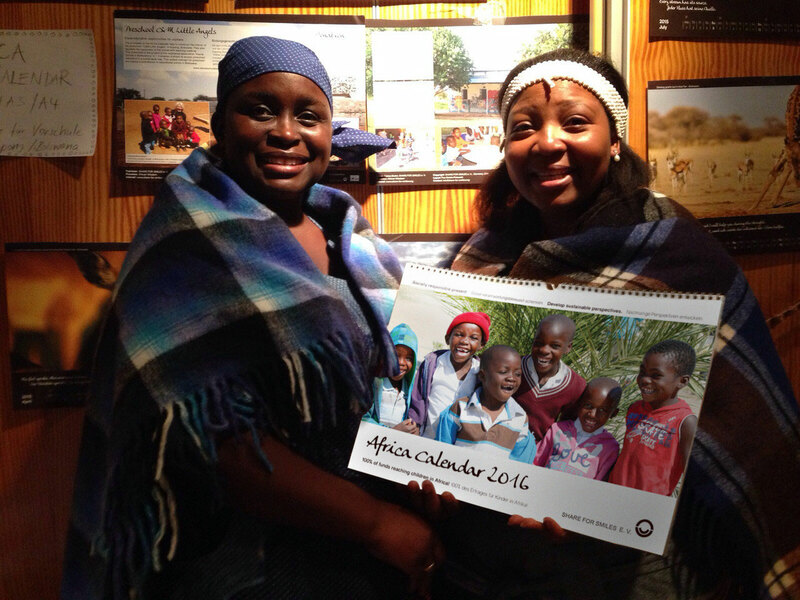 Following a speech from the Botswanan ambassador, Mrs Tswelopele C. Moremi, Share for Smiles presented the Calendar for 2016. Our members Mercy Kaisara-Zenz and Botumelo Bader (pictured opposite) spoke to Botswanan community members about Share for Smiles’ development projects. 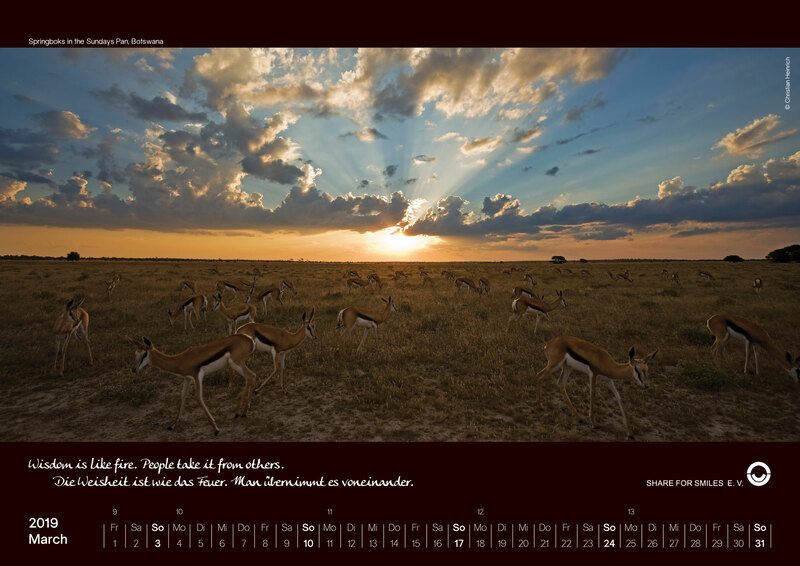 The Africa Calendar 2016 received a great deal of interest and strong connections with the community were made. We would like to offer special thanks Geleki Lebang for organising the event. 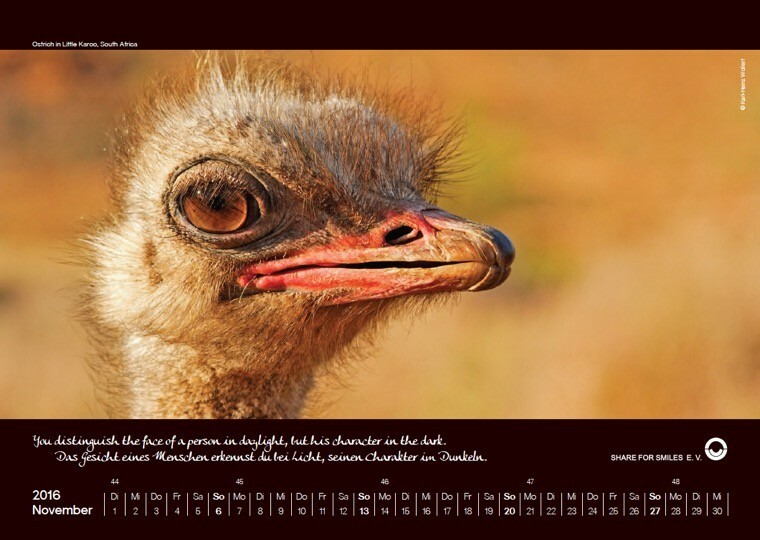 The following link provides a brief introduction to our photographers Karl-Heinz Wollert and Andrea and Christian Heinrich. 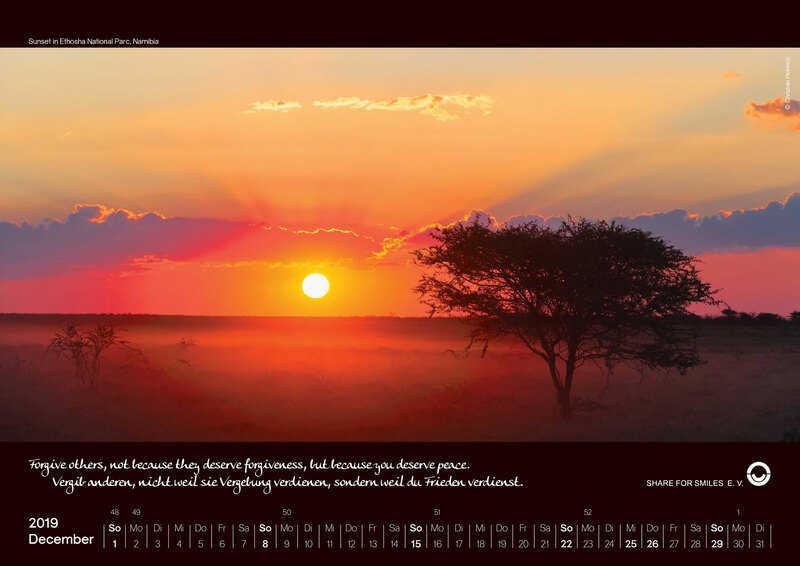 Share for Smiles is grateful for their donation of magnificent and inspiring photographs every year. 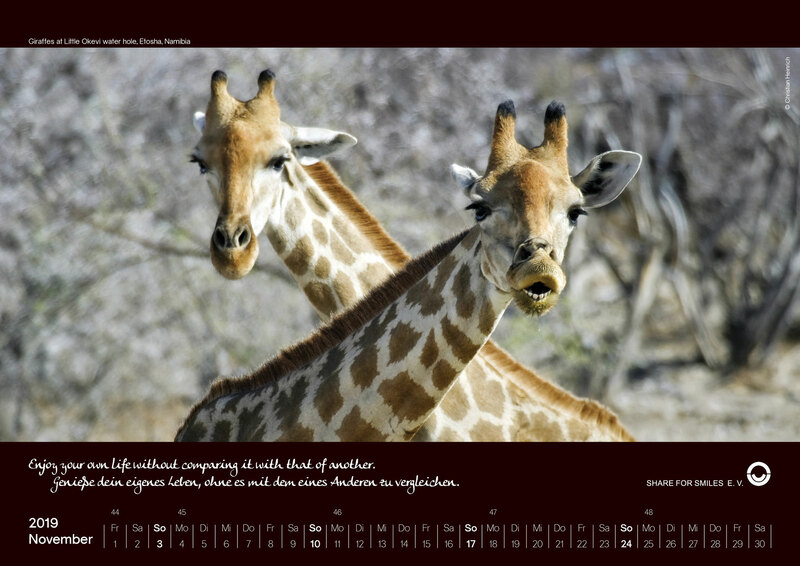 In addition, Share for Smiles would like to thank all of our friends for contributing pictures and thus enabling our team to create the Share for Smiles Africa Calendar. Share for Smiles funded a project led by Kenia Hilfe Buxheim to construct an outside kitchen as part of a new orphanage in Kilifi, Kenya. Share for Smiles funded wood-fired energy efficient stoves, including a power efficiency stove and a power saving baking oven. This is a step towards the financial independence of the project, as the price of coal is continuously rising in Kenya, Moreover, the efficient burning of firewood is becoming more and more important due its local ecological impact. Read more about our project here. 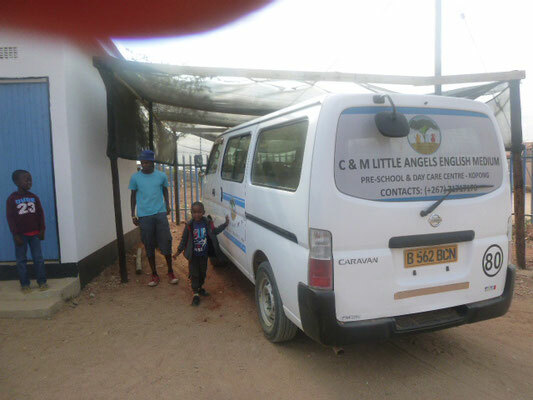 At the beginning of 2014 five members of Share for Smiles visited Botswana, volunteering their time and covering their own expenses, to take part in meetings and discussions regarding the erection of a kids and youth center in Gweta. The discussions aimed to develop a deeper understanding of the special requirements of the Gweta community and to learn from the experience of similar projects. During their stay, the Ambassador of the Federal Republic Germany, Mr. Rolf Ulrich and his wife accompanied the Share for Smiles team and visited the SAVE projects in Shakawe. 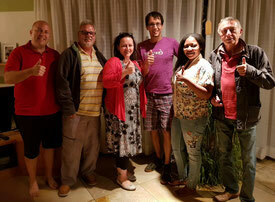 Everyone was profoundly impressed by the engagement of people in Botswana in the projects and discussions. 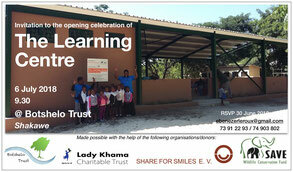 The visit revealed the need to support the young, but existing, structures that are flourishing in rural Botswana. The illustrated report below contains our impressions and experiences of the visit, which we would like to share with you. Learning from the Roots e.V. 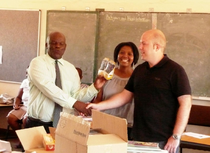 and Share for Smiles have jointly funded the extension of an existing solar system (photovoltaics) for the water supply at the St Ruperts' mission in rural Zimbabwe. The system allows storage of solar electricity over the course of the day, to provide lighting in the dormitories and in the main common kitchen. This makes the electricity supply independent from load shedding and rising energy prices. 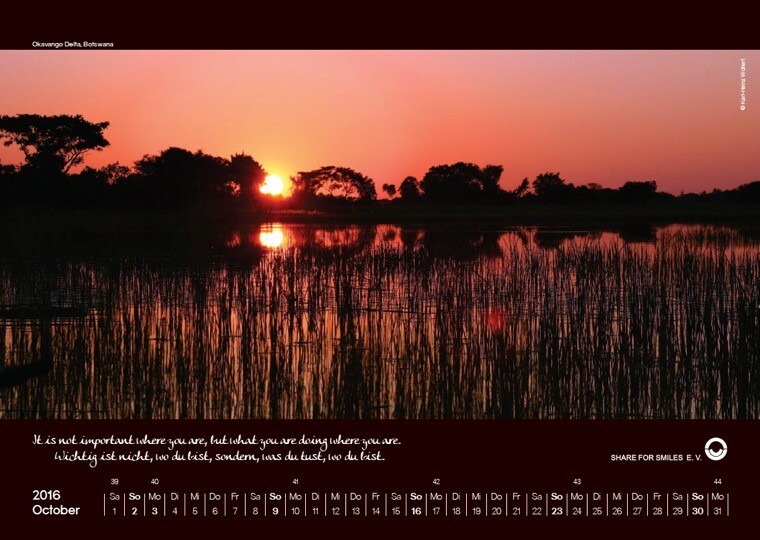 In January 2014 a Share for Smiles team visited Botswana to learn about their projects aims, organisation and partners. Whilst visiting social educational projects, we met many highly motivated kids and young people. 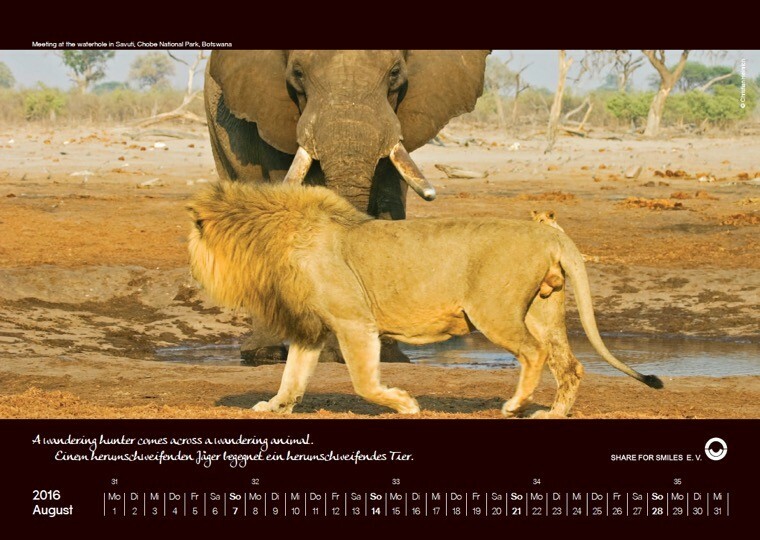 Our travels through Botswana’s wilderness were often adventurous, as we had to travel during the rainy season with unexpected high rainfalls. 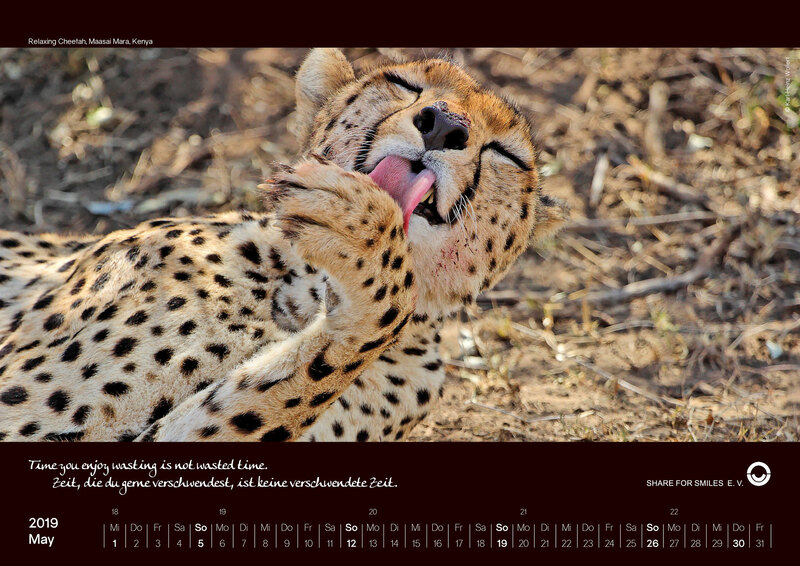 More information about all the projects visited will be available soon on this website. 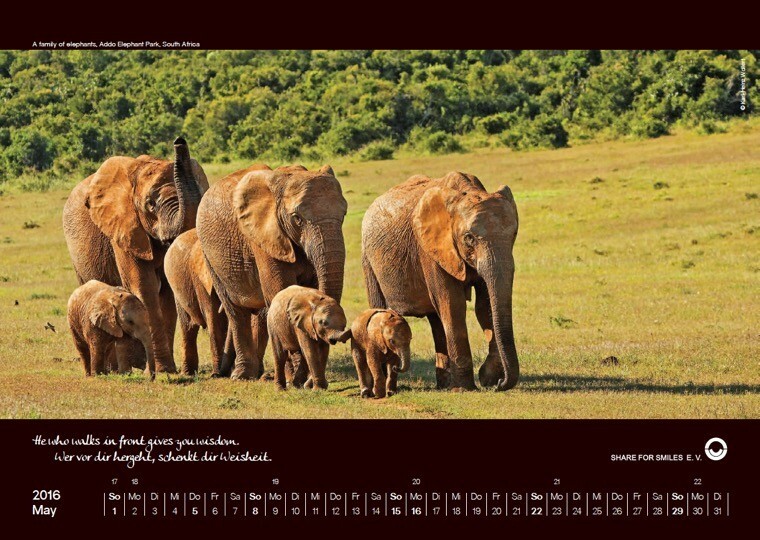 Funds raised by then Africa Calendar 2014 will go to the newly founded environmental education sustainable conservation center for children and youth in Gweta. 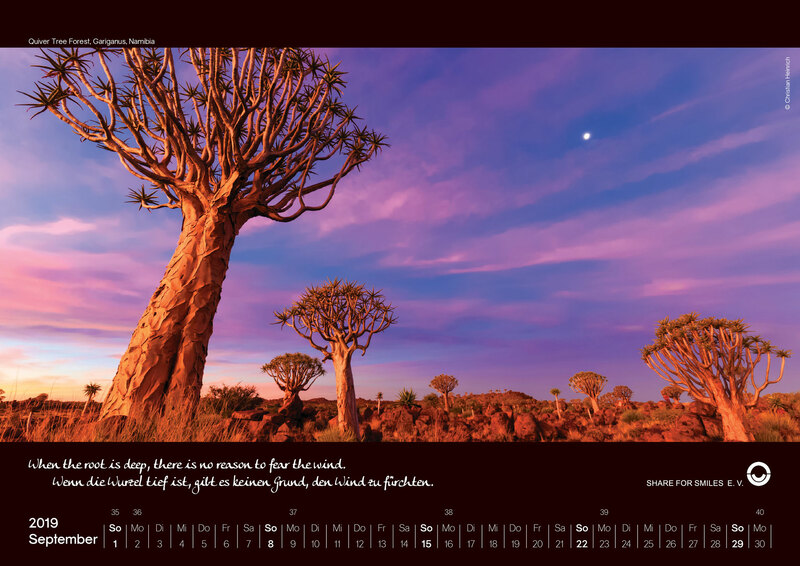 The center is placed on the edge of the Makgadikgadi-salt pans in Botswana. More information here! 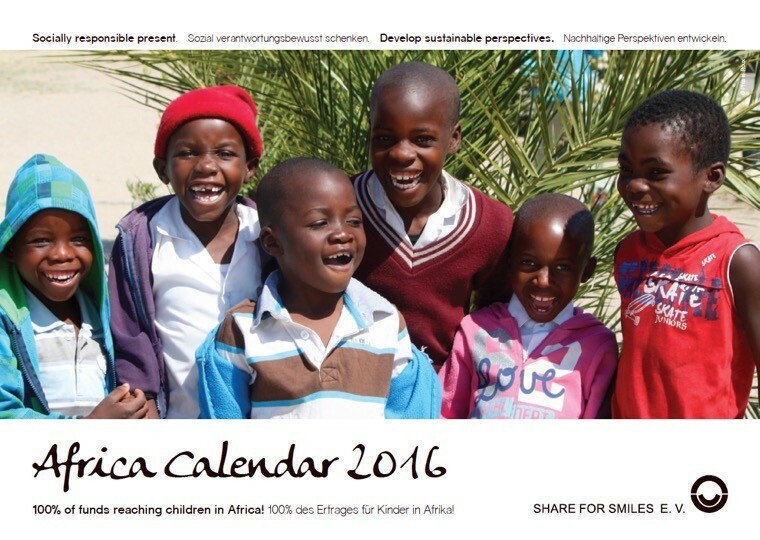 Each year SHARE FOR SMILES e.V continues to advance and leverage its mission of helping needy children in Africa. 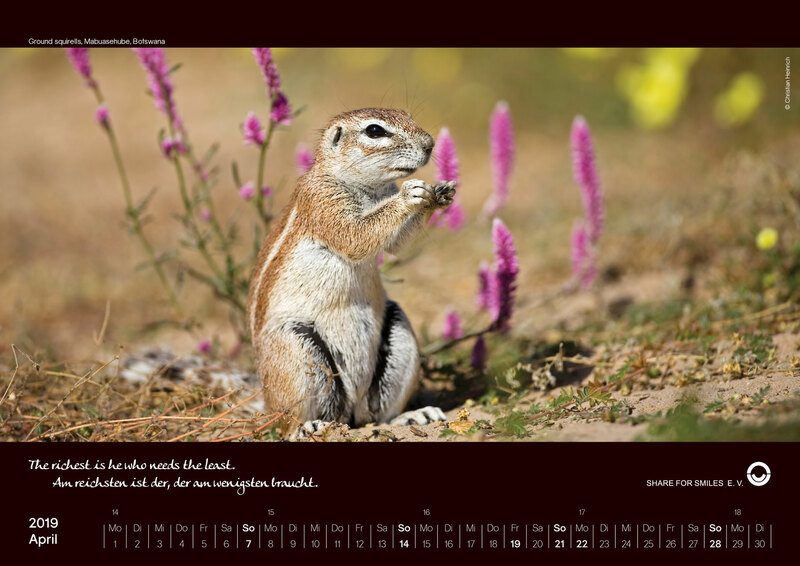 Yesterday, SHARE FOR SMILES e.V. 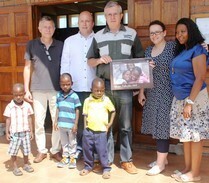 handed over a cheque donation of 12, 000 Euro from the proceeds of the Africa Calendar 2010 to the Philipp-Lahm-Foundation. The Phillip-Lahm-Foundation will support one of its founding project called the Shongi Soccer project. The Foundation is currently building a sports ground between two townships near Johannesburg, South Africa. To learn more about this project Click here. 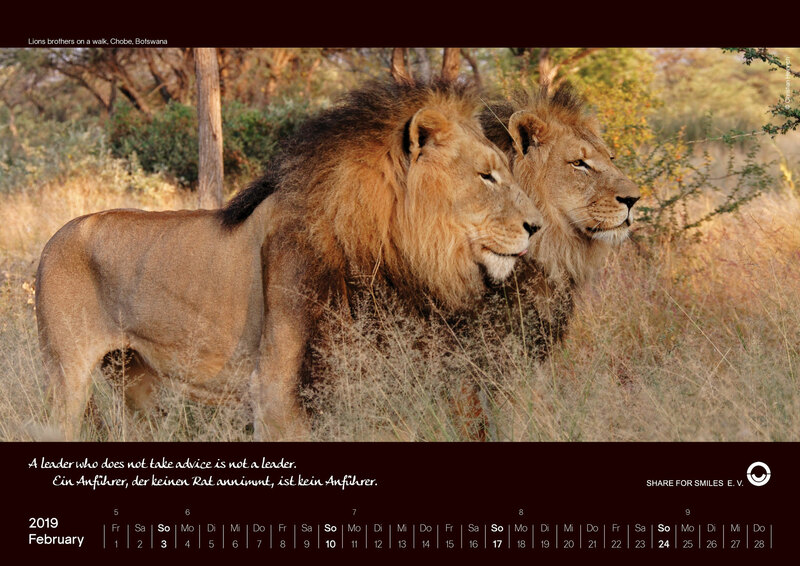 BOCCS Kenya Hilfe Buxheim and Radisele convey their gratitude towards the 2009 Africa Calendar proceeds! After careful considerations, proceeds from the 2009 Africa Calendar were distributed among our partner projects. 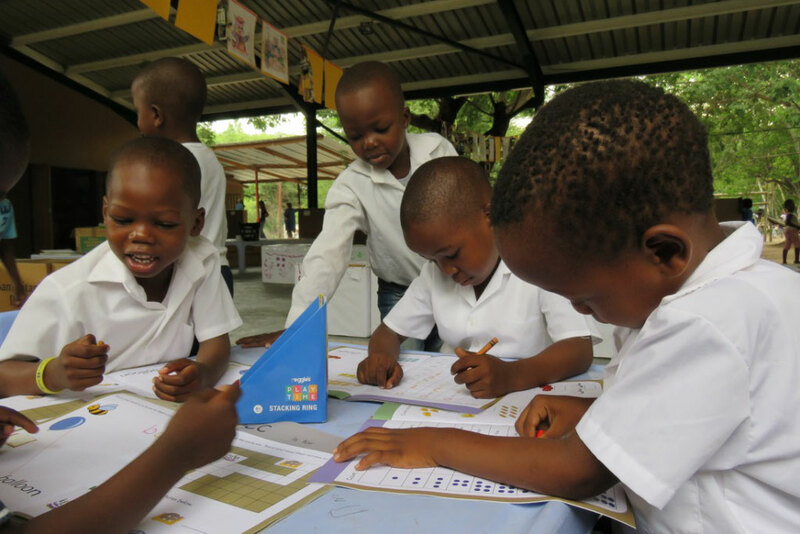 The funds are expected to transform projects, including Kenya Hilfe, Buxheim and Radisele primary school and we are confident that the projects will reach their future goals. 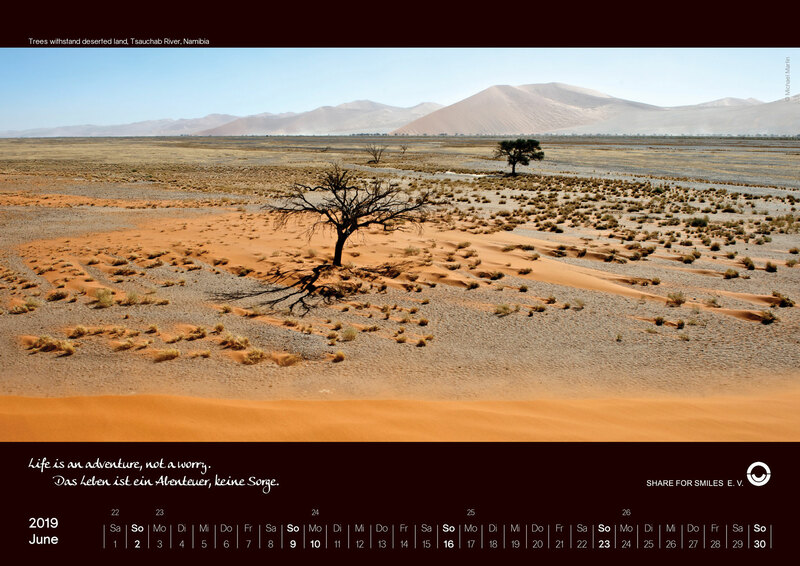 To learn more about how your purchase of the Africa Calendar 2009 helped our partner projects Click here for details.